Ripple’s cryptocurrency, XRP, has had the year from hell. From its January all-time high it has taken one of the heaviest beatings of all the altcoins and plunged 93% to its lowest level of the year on Tuesday. However, parent company Ripple has probably made more partnerships than any other crypto organization so can things finally be turned around for XRP. The first of these exchange partners to be announced is US crypto exchange Bittrex. The exchange will act as the preferred medium of changing currencies via xRapid into and out of US dollars. To work effectively with Mexico and the Philippines Ripple has also partnered with Bitso and Coins.ph to offer Peso transactions in the two countries respectively. Remittances represent a huge volume of foreign exchange in Mexico and especially in the Philippines where they make up over 10% of the island nation’s GDP. Cross border payments can be slow and costly using traditional banking methods, this is where xRapid comes in to alleviate the costs and accelerate the process. XRP reacted to the news which has provided a long overdue boost to the flailing altcoin. At the time of writing it was trading almost 9% higher on the day and leading the top fifteen cryptocurrencies. XRP is currently trading at $0.317 which is 25% higher than its 2018 low point three days ago. On the month however XRP is still way down, 37% lower than the $0.50 it traded at this time last month. 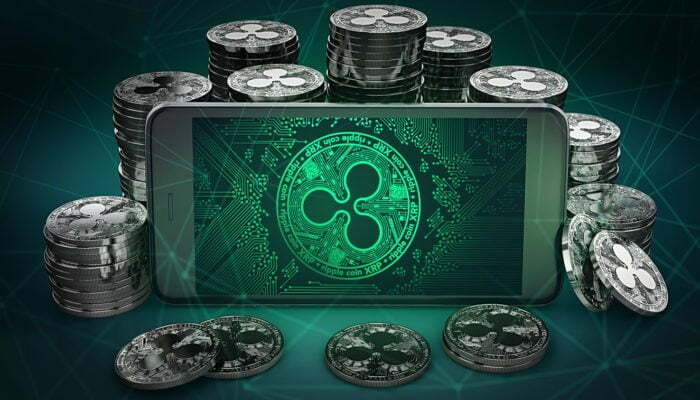 Ripple continues to forge a way forward with new partnerships so this lull in its crypto coin price is only a temporary speed bump on the digital highway leading to a brighter future for cross border payments.